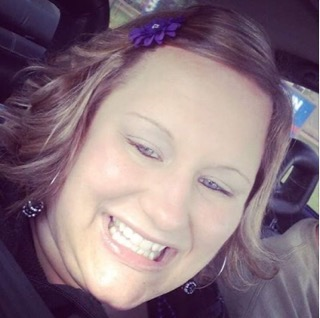 Mandi L. Haslett, 33, of Ossian, Indiana passed away on Saturday, March 16, 2019 at her residence. She was born on April 23, 1985 to Pat and Terri (Busch) Rauch. On April 9, 2009 she married Craig “Biff” Haslett. She was a Case Worker for Child Protective Services. Mandi is survived by her parents, Pat and Terri Rauch of Decatur, IN; her husband, Craig “Biff”, of Ossian, IN; one brother, Joshua Anderson of Decatur, IN; three sisters, Brandi (Jeremy) Wells of Lawrenceville, Illinois, Brittani (Zach) Maggart of Ft. Wayne, IN and Meria Rauch of Decatur, IN. She was preceded in death by an infant son, Anderson Haslett. A Visitation will be held on Wednesday, March 20, 2019 from 5:00 to 8:00 p.m. at Haggard-Sefton-Hirschy & Zelt Funeral Home. And one hour prior to the service from 1:00-2:00 p.m. The Funeral Service will be held on Thursday, March 21, 2019 at 2:00 p.m., also at Haggard-Sefton-Hirschy & Zelt Funeral Home. Pastor Dan Eckelbarger will be officiating. Burial will take place at the Decatur Cemetery. In lieu of flowers a monetary donation or toys and backpacks will be accepted in Mandi’s honor for the children at Child Protective Services.